The Warrior is the backbone of every group, able to take - and deal out - a great deal of damage. Working with both offensive and defensive abilities takes skill, but choosing the right gear and weapons will give you a leg up on the enemy. 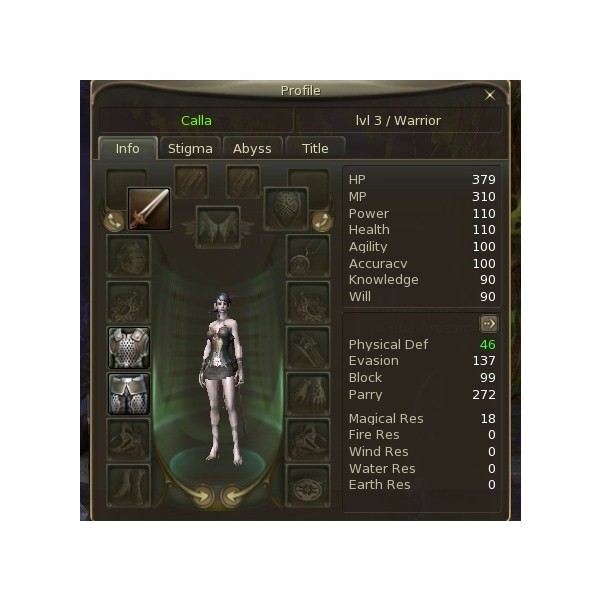 Your Warrior has all the makings of a real powerhouse in Aion. Starting out in chain gear, and progressing to plate after Ascension, you will stacking the sturdiest armor available. When paired with a good healer you are all but unstoppable, and you have the ability to solo most content. 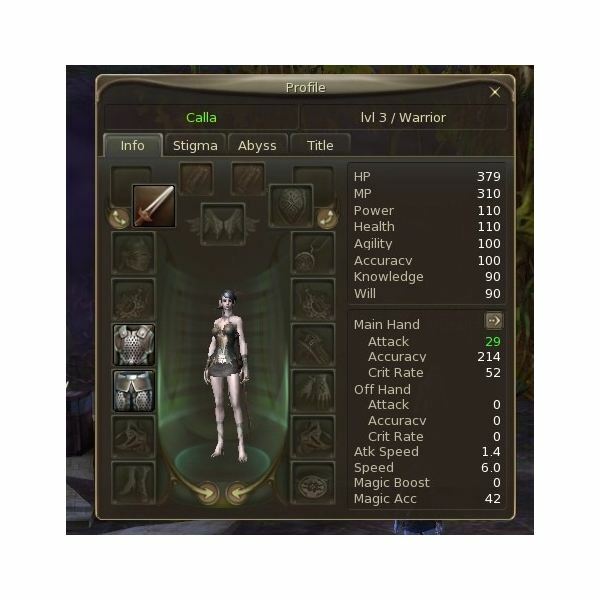 You will want to choose gear for each of your two possible roles: defensive and offensive. 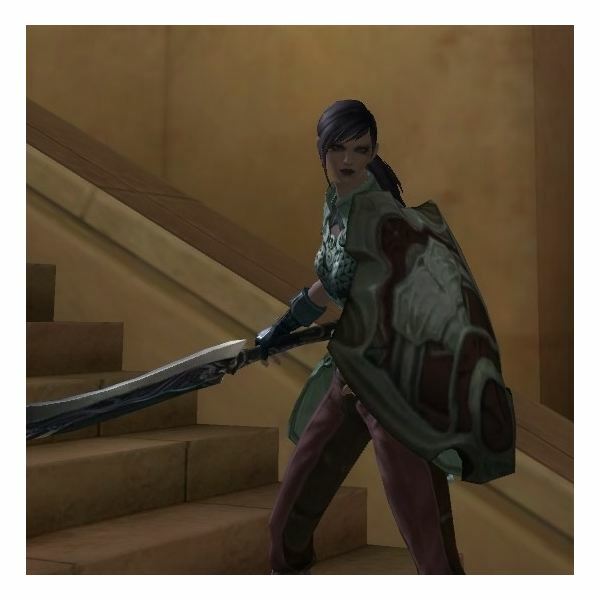 While tanking, a one-handed sword and shield, or sword-n-board, are a necessity. Look for manastones and gear that offer bonuses to your Evasion, Block, and Parry stats. If you're not responsible for party members, however, you can equip a greatsword and gear that boosts your Attack, Accuracy, and Crit Rate. While you will pick up an ability or two that utilizes MP, it is definitely not worth your while to gear for that stat. As a melee character, you will also want to keep a supply of Power Shards on your character, making sure to activate them upon login. The type gets better as you progress in levels and they all provide a nice addition to your dps. 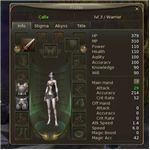 The Warrior arrives in Atreia with nothing more than a great outfit, a melee auto-attack, and one offensive ability: Ferocious Strike. Pop it as your first attack so that it will hopefully be off of cool down and available for use again just before the mob dies. Keep on the look out for any shields that drop, although you can pass those with MP off to a friendly Priest. Level 3 happens quickly enough, bringing you Shield Defense and your first chain skill, Robust Blow. While you still don't have a real rotation, you can start - and end - most fights with Ferocious Strike, Robust Blow when it procs, and then Shield Defense until your target drops. Weakening Severe Blow, available at level 5, applies a debuff to your target lowering its defense and causing a bit of damage in the process. Move it on your hot bar to the first position, since you want that debuff applied before you start whacking on it in earnest. The only other ability you get here is a passive skill that raises your base HP. While the passive skills aren't the most exciting, you will definitely still want to pick it up as soon as you can. It help you live to keep fighting the good fight, and reduce your downtime in the process. 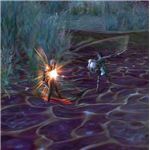 By level 7, you are now facing mobs that are hostile on sight, and need to be a little choosier about picking your battles - or at least, picking where to conduct them. You don't have a way to pull mobs from range, so watch pathing patterns if you're concerned about biting off more than you can chew. You can also back mobs up as you fight, which will help you gain some room to maneuver. At this level you also gain a defensive ability, Rage, which chains from your Ferocious Strike. 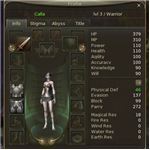 Now you will often have a choice of abilities that proc from FS. If you need the boost in damage use Robust Blow, and save Rage for when you can use the shield effect. The last ability you will pick up before Ascension is Shield Counter, a chain skill that procs off of Shield Defense. This ability bashes the mob with your shield causing some damage, and - more importantly - a stun effect. This is another reason to keep your Shield Defense up after you've blown your two offensive strikes. The Ascension quest is triggered by reaching the 9th level and automatically loads into your quest log. You can postpone working on any other quests until after you receive your wings, since you can always return to your starting area and finish up before moving on to the next questing zone. Choosing between two two specializations is purely a matter of play style and personal taste. If you enjoy leading groups of players into battle, you'll probably like the tanking role of the Templar. The abilities you will eventually gain will allow you to heal yourself or sacrifice your health in order to save a another player. If, however, you would rather be putting the smack-down on all of your enemies, the AoE-damaging Gladiator may be more to your liking. Wielding a pole arm, mace, sword, and dagger as you choose, you can charge into the Abyss and rain terror down on your foes. Beyond Ascension, your Daeva will choose a specialization. Excelling at your new party role requires attention to gear, manastones, stat boosts, and a solid rotation. 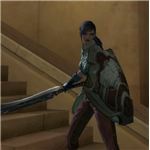 This series of guides will give you the information you need to dominate the battlefield and succeed in your chosen party role.